Break up ground beef in a large bowl; make a well in the center. Break eggs into well and add ½ jar chili sauce. Stir together to blend. Add onions, salt and pepper. Using your hands, mix in enough bread crumbs to absorb most of the liquid. If it appears too loose, add more bread crumbs. 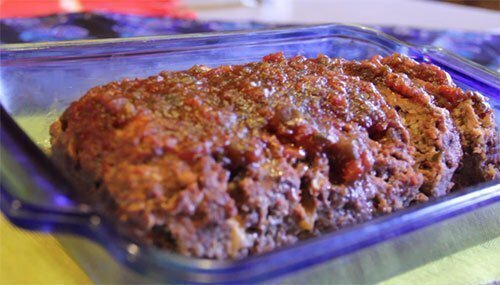 Shape meat mixture into a loaf on cookie sheet or pack into a loaf pan. Pour remaining chili sauce over the top. Bake approximately 45 minutes, until the internal temperature is 160°. Let stand a few minutes for easier slicing.